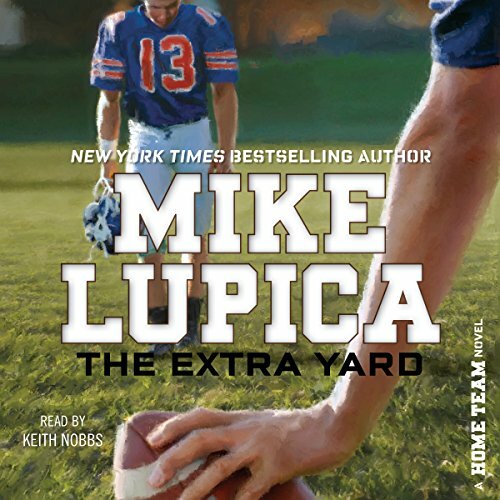 Teddy, a young football player, learns that sometimes bridging the distance in your family can be harder than stretching for an extra yard on the field in the second book of the Home Team series from New York Times best-selling author and sportswriting legend Mike Lupica. Until his mom drops a bomb: His father - who left them a long time ago - is back in Walton and back in their lives. And Teddy isn't happy about it. As a former star football player at the school, Teddy's dad is thrilled to find out his son is going out for the team, but Teddy begins to wonder if his father cares about him now only because he's putting on the helmet. Can Teddy find a way to go the extra yard for the team and for himself, or is the distance between him and his father too much to overcome?